Bold, bright stripes give this dinner plate its graphic punch. 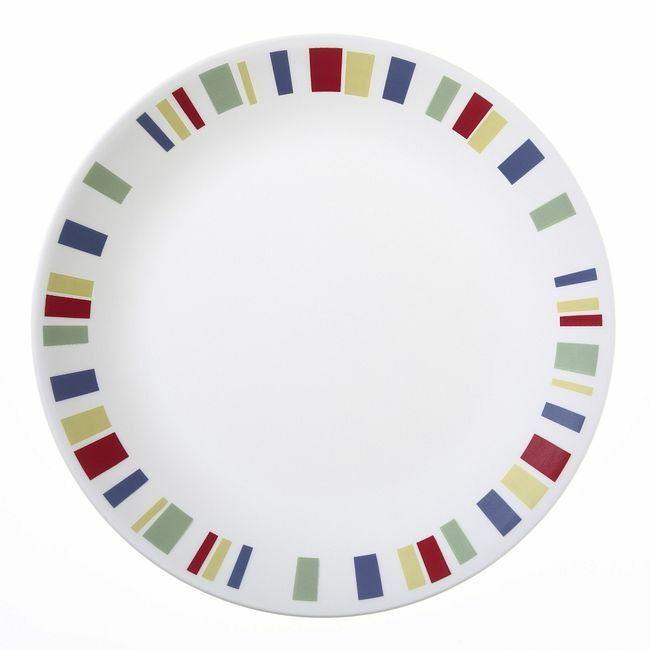 Add pops of punchy color to the table with this dinner plate. Bordered in an array of graphic hues, it’s a durable choice for everyday dining and a vibrant addition to casual entertaining.